The SNP is the largest minority group in the world! 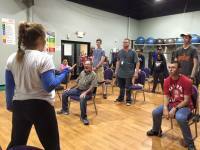 In 2013, Alexandra met a group of special needs young adults on the campus of Navarro College. 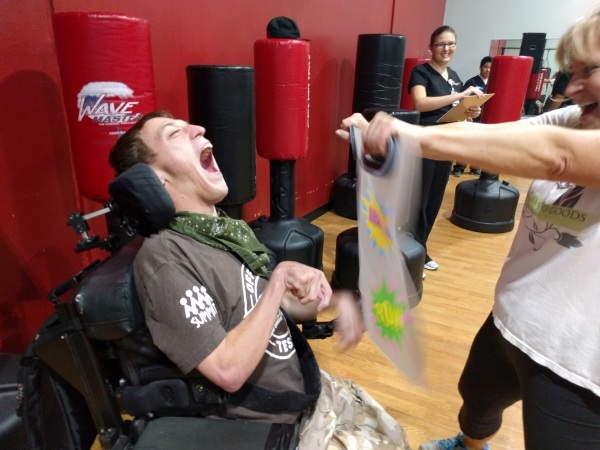 One of Alex's rules in life is no one should ever be excluded so ... not being able to stand how excluded this group appeared to be, she invited the class to join her Pilates and kickbox classes. 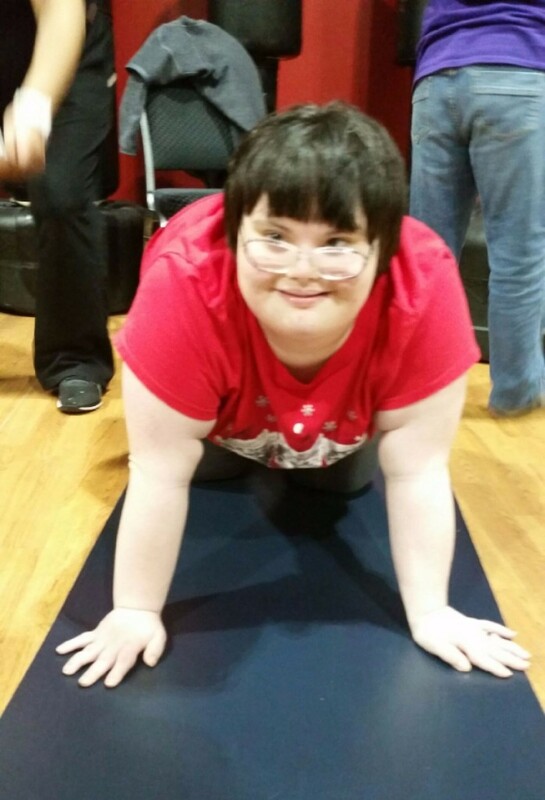 Now, three years later, she offers free fitness classes to special needs adults. What she saw that how much these same people want to be stronger, they want to be healthier, they want to be able to do the things they see everyone else do .. but they have been ignored by the fitness industry. If you look at fitness DVDs and television programs, online workouts, and all the popular workout crazes today, who do you see? 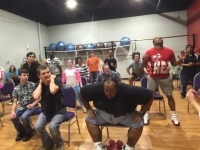 The vast majority of the exercise programs are directed exclusively toward 18 to 50+ year olds who are in reasonably good health and cardio condition. Let's stop tucking the SNP away in specialty training facilities ... let's all play together! 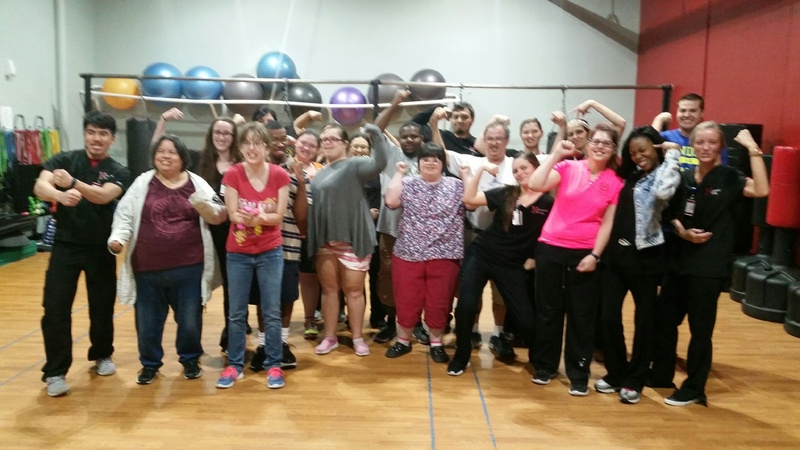 Alexandra decided things have to change and created a program for EVERYONE! As she says, What if you have a physical or developmental disability? What if you’ve had a knee replacement? What if you have balance issues? What if you cannot perform high impact moves due to a bad back or joints? What if you have foot problems or scoliosis? What if you are wheelchair bound? Or must use a chair during exercise? Alex's nickname? "One more Alex"
Because they can! C'mon, guys ... let's do that one more time! With a patent on the design, three years of research with the Occupational Therapy Department at Navarro College, more OT students and data than Alex could ever imagine, the future looks good ... but there is much work to do. Stay turned. 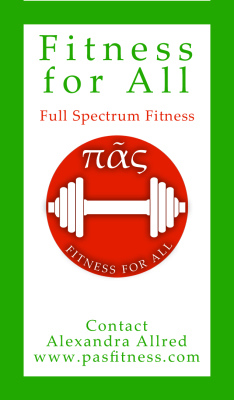 Meantime, Pas Fitness (the manual) is available but we all want so much more!